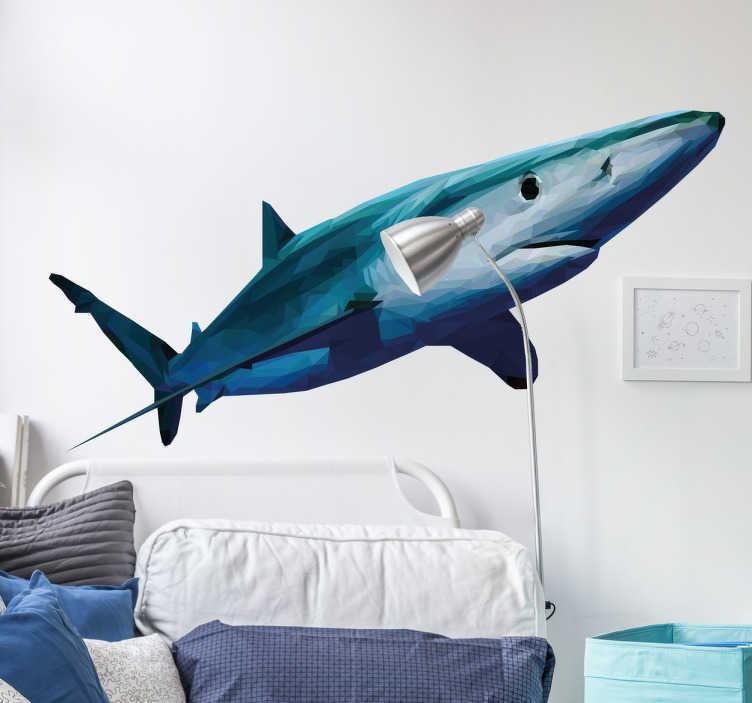 A spectacular design of a fearsome shark to decorate the room of shark fans. The cool shark decal is formed from a series of geometric shapes. Give your kids bedroom or even the walls of a museum an aquatic feel with this easy to apply decal. The illustration was made by the Catalan artist LAMAI, exclusively for tenstickers.co.uk.